Rush Review | I Review Too . . .
Ron Howard’s Rush draw you in faster than one of its finely tuned Formula One racecars. The movie’s ability to keep you on tenterhooks in spite of its arguably niché subject matter is admirable to say the least. However, in terms of captivating real-life dramas, Howard and his cast couldn’t be working with a juicier tale. This is a dark re-imagining of the classic rabbit and hare parable made all the more tense by its reality-based stakes. With glory or failure and life or death hanging in the balance, this fast paced duel-biopic is enough to get even the most flat tyred racing fan revved up. 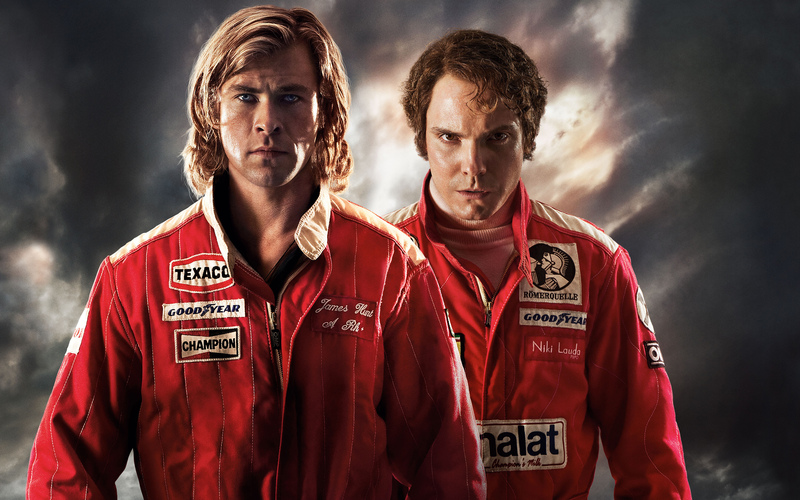 Posted in Cool, Features, Film, Reviews and tagged Daniel Bruhl, Formula One, James Hunt, Movie Review, Nikki Lauda, Racing, Ron Howard, Rush, Rush Movie, Rush Review, Simon Bland. Bookmark the permalink.